We all want to build muscle at maximum speed. But if you’re serious about it – and not simply one of those guys or girls “messing around” in the gym – it’s vital that you understand the main factors affecting how fast you can build muscle. Without a shadow of a doubt, the biggest factor affecting how much and how fast you can build muscle is your genetic potential (yes, more important than steroids or effort in the gym). Skeletal Formation: the length, thickness, and structure of the bones. Neuromuscular Efficiency: the relationship between the nervous system and the muscles. The higher the better. Muscle Fiber Density: the number of muscle fibers per square centimeter. The more the better. Myostatin: The less myostatin you have circulating in your body, the easier it will be to build larger muscles. Pro bodybuilders have a deficiency. Muscle Length: The longer a muscle is, the more potential there is for it to increase in size. For a detailed explanation of all these factors, see my post on Bodybuilding and your genetics here. Most people are simply unaware that there are 3 fundamentals of bodybuilding. The problem is that you can understand little of anything else until you understand these 3 factors. It’s like a kid trying to learn algebra without first understanding the mathematical fundamentals of addition, subtraction, multiplication and division. Get these right and the result is continuous gains until you reach your genetic potential. Get it wrong and make little or no gains whatsoever…no matter how long you stay in the gym. Discussing these in depth is beyond the scope of this article, but I cover them clearly and completely in my free THT training manual and Quick Start Infographic. 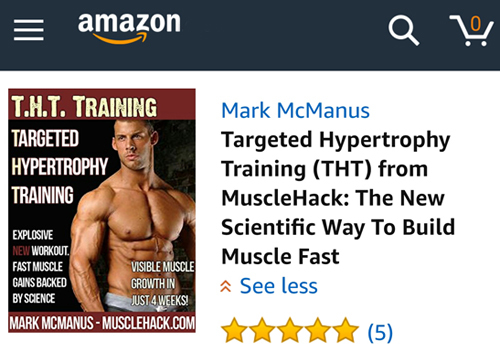 You can grab these below and start making real and meaningful gains in the gym (yes it’s free, no catches or weirdness – download it then get me on social media to be a part of the growing MuscleHack community). Yes people that take steroids still need to work very hard and watch their diet. But be in no doubt – they have a huge advantage over those of us who choose not to go down that round. A 20-week study saw testosterone-induced muscle increase was due to fiber hypertrophy i.e. the muscle fibers were actually getting thicker just like natural growth…even though the subjects didn’t even train. Another study entitled “The effects of supraphysiologic doses of testosterone on muscle size and strength in normal men (N Engl J Med. 1996 Jul 4;335(1):1-7“) showed an average lean mass increase of 6.1kg or 13.5lbs in only 10 weeks. More details on these studies and results can be found is my post ‘Steroids make a massive difference‘. Women build less muscle…a lot less. And they build it slower. Testosterone levels account for much of this, and for the other reasons, simply refer to number (1) in this list – genetics. Hey guys, it’s so annoying when we hear, “But I don’t want to get big” from women, right? Grrrr! Muscle tissue is basically water and protein. If you don’t get enough daily protein, you won’t build any muscle (despite your best efforts). I wrote an in-depth post about how much protein you need to build muscle here. But in short – and to have certainty about this issue – consume 1g protein per pound of body weight every day. 200lbs = 200g daily protein. Easy explanation here. The longer you’ve been training, the less muscle you build…and the slower you build it. You need to accept this ahead of time. This is a lifestyle – not a short-term “project”. Tangentially, experienced trainees can experience a similar experience to the “newbie gains” phenomenon by taking their training above 100% i.e. by taking muscular contractions above their 1-rep max. This concept forms the basis of all my “blast hyper-intense” training packages. 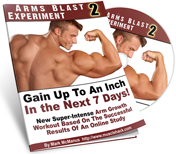 See the Arms Blast here | Chest Blast here | Leg Blast here. Get your whey and creatine from MyProtein UK here with a 10% discount code ‘MUSCLEHACK’. And use this link if you live in the US. There are some others, but I can’t cover them all here. So please see my in-depth post on the only bodybuilding supplements that actually work. This makes a difference – but it’s not as big as some would have you believe. Testosterone levels are said to drop from around the age of 30 (but slowly and gradually over the decades). However, this is a claim regarding guys that don’t train. I have no figures on what happens to those of us who are training intensely and naturally jacking up our test levels multiple times per week. I’m 35 now and in the best shape of my life (muscle size and body fat). I of course train THT-style by the book! I say that you should NOT listen to the naysayers. Train with intensity, eat well…and pay no attention to your age. For more of a positive message on age and bodybuilding, see my post here on a study that found there was no real difference in size gains in those training over 40 years of age as compared to a bunch of 18yr olds. Like I said, forget your age and just train! 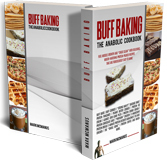 Now that’s you all clued in on the main factors affecting muscle growth. Got questions? Need help? Ask me below and also add me on social media (links are below). Great work as usual Mark! 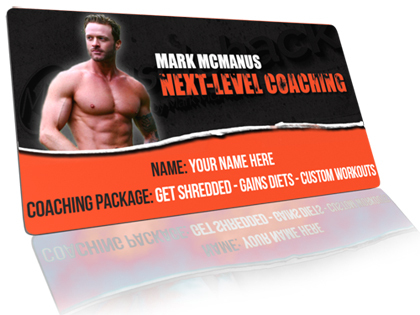 Hey Mark no doubt your in great shape.. would u mind sharing your height weight and bodyfat? Everybody says go by the mirror and forget about the scale but I bet 99% of people can’t.. . Personally I hate dropping below 170lbs at 5ft 10in about 10-12% bodyfat I just start getting depressed cause I feel skinny and look skinny with clothes on.. it’s mentally tough to see the scale dropping….. So there is a good point on, what happens if you are not satisfied with your genetic max when you reach it and how do you know when you “have” reached it for certain? I have my goal in mind with how I want to look and maintain it. But I’m not certain if my genetics will allow it. No I don’t want to be roid looking beast, but I want bigger than a lean mid beefed look. That is my goal. I do not want to take steroids etc to get me there either. Hard one to sort out?